Cristina Sutter - About • Sport Dietitian • Vancouver B.C. 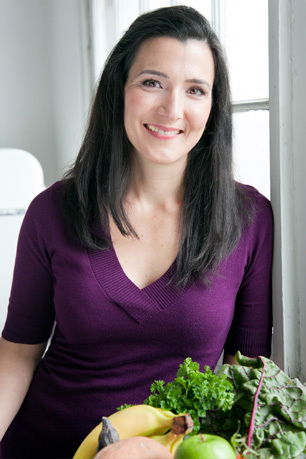 Cristina Sutter is a Registered Dietitian with over ten years of experience providing nutrition counselling. She has helped hundreds of individuals reach their health and fitness goals with proven dietary strategies. Cristina has a Masters degree in Community Nutrition from the University of Toronto. She earned a Bachelors degree in Kinesiology from Simon Fraser University and studied Dietetics at the University of British Columbia. She was a certified personal trainer with the American Council on Exercise and BCRPA. Cristina was a University Instructor too. She taught the fourth-year sport nutrition course at the University of British Columbia, Simon Fraser University and Langara College. Cristina is an athlete and loves sports. She has competed in rowing, swimming and marathon running. Her favorite sports are inline speed skating and skiing, but she has fun playing a bunch of team sports too. Cristina works with elite athletes. Her clients include the Vancouver Canucks and Canadian Olympic athletes. She worked with the Vancouver National Swim Centre for 4 years, travelling with Swimming Canada’s team to world championships. The Womens Canadian Alpine Ski Team, BCParaAlpine Ski Team, BCGymnastics, BCBasketball and BCFieldHockey are just a few of the teams she has worked with over the years. She also enjoys working with recreational athletes who are training for their next big race, whether it’s a 10K or ironman. Cristina enjoys working with youth. Sometimes it helps if someone other than mom and dad talk about nutrition and diet. Cristina understands kids and knows how to empower them to make great choices. She has a sensitive and genuine demeanor that creates a safe learning environment for children and youth. Cristina is highly skilled at assessing the relationship between self-esteem, stress and eating behaviours. She has helped many clients to understand and overcome their emotional relationship with food. Cristina makes reaching your ideal weight, easier than you thought. She will teach you the tricks and give you a plan that you know you can stick to.